When Jayc was 10 years old, his older brother passed away and left the family in turmoil. Tragically, a year later, his older sister passed away, which troubled his father so that he turned to the bottle. Jayc began working 40 hours a week at the family automotive shop while going to school full time. Married at the age of 20, Jayc built a very successful roofing company, but started drifting away from his faith; thinking money would help fill the hole in his soul. By the age of 25, he opened an automotive shop and later turned it into a used car dealership. Karis and Jayc were expecting their third child, when his mother had been diagnosed with cancer, which would turn out to be terminal. The day before she passed away, she spoke some words to his father that he will never forget. She said, “If only our boys would do what they were put on this earth to do.” The first thing that entered his mind was, “How did she know, I had those exact same thoughts, but have kept them to myself? Her words inspired him to change his career and make a total commitment to do what he believes the Lord put him here to do. The hole in his soul was never filled, and kept getting bigger every day. Then, one day, while listening to a Gospel tape by Buck Owens, Jayc gave it all over to Christ. He started writing Gospel songs again. He bought a Greyhound bus, and spent a year rebuilding and remodeling it as a tour bus. A short time later, he sold the family home, the car dealership and moved into the bus with his family by his side. 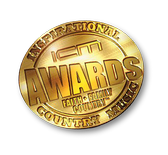 Winner of the Country / Bluegrass Album of the Year by the Canadian Gospel Music Association for the 30th Annual Covenant Awards.